In this tutorial, we are going to add a new product class Fruit and a product type Blackberry under it. The new product class Fruit will be set up in such a way that fruit products can be sold directly in Supermarkets after they have been grown in farms. Since the default game content of Capitalism Lab does not support selling a crop product independently in supermarket, we will have to add a new product class “FRUIT“. Next, add a new record into Product_Types.DBF for Blackberry. 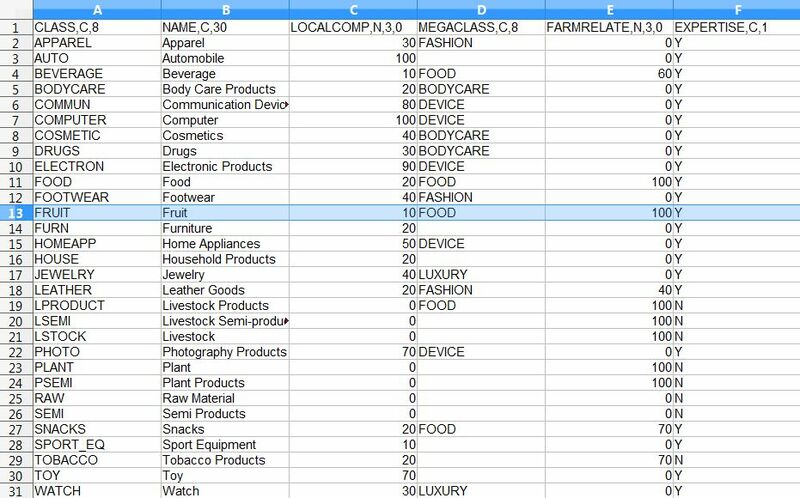 Here we use “BBERY” as the item code for Blackberry as the length of an item code is limited to 8 characters only. It should be under the newly added product class “FRUIT”, as the shown below. Since Fruit is a new product class, we also have to specify the types of retail stores in which Fruit products will be sold. This can be accomplished easily by adding a new record into Retail_Store_Products.DBF as shown below. 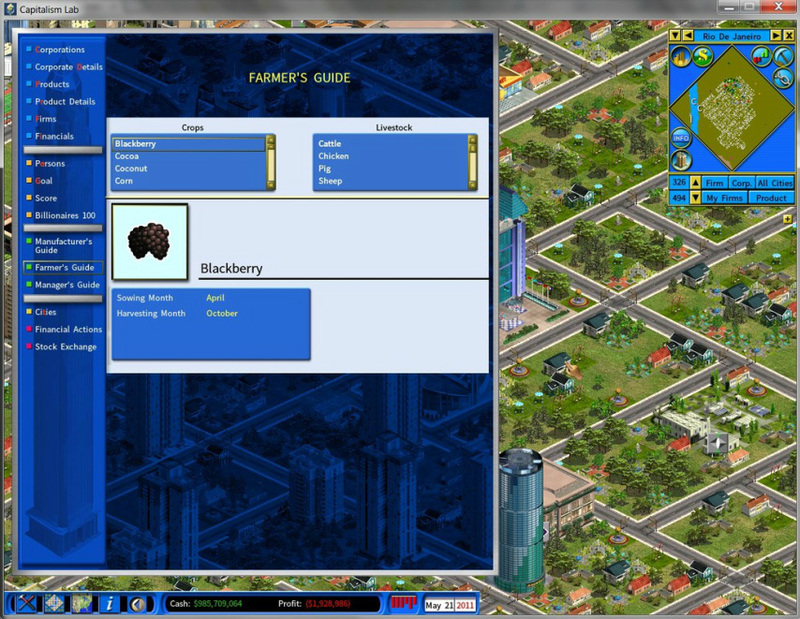 We are now only one step away from making Blackberry available in the game, which is to add the image of Blackberry. The product image must be in PNG file format and have a size of 120×120 pixels, such as the example image shown below.Place the product image file in “MOD Kit\Images\Products\” folder, and run the file PACK.BAT in the same folder to pack all the image files in the folder into a single resource file. 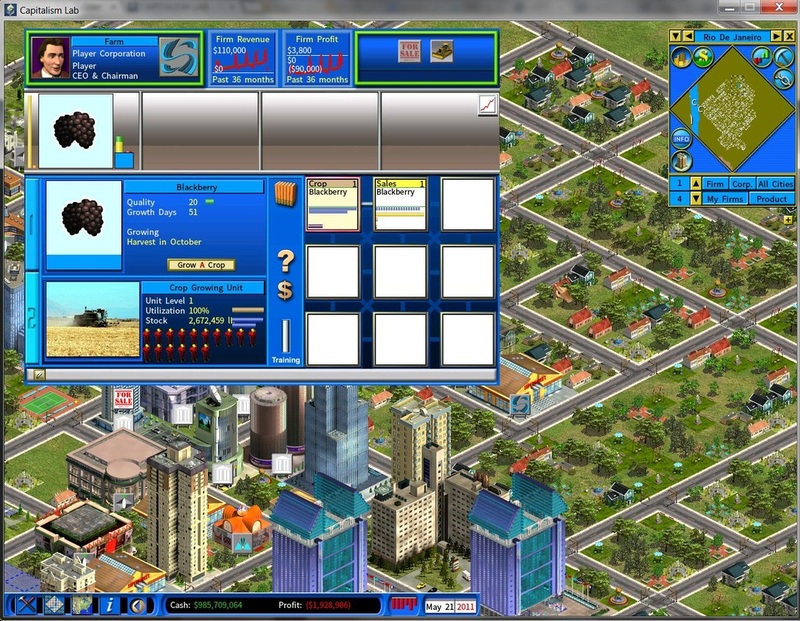 Now run the game and set the game to load your newly created MOD and you will be able to grow Blackberry in your farm as the screenshot shown below.